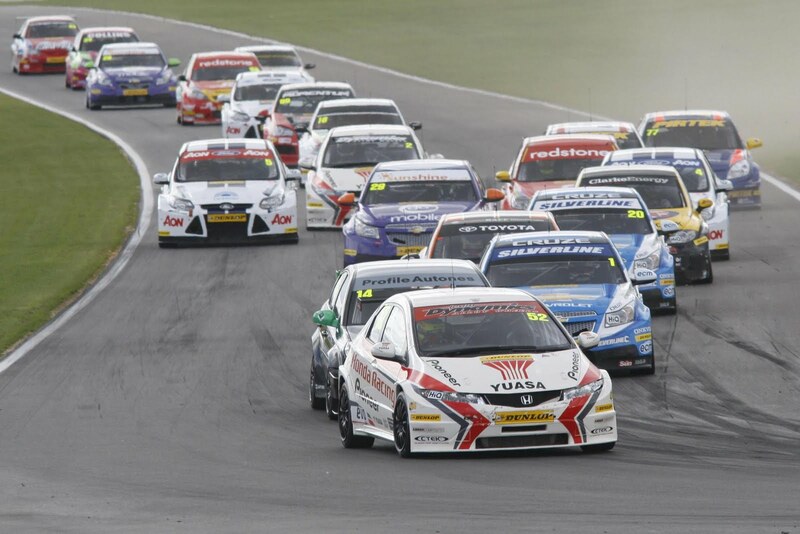 We love to hear from teams about their successes and activities across all kinds of British Motorsports including the British Touring Car Championship. Here then are some reports from Chevrolet, Honda and Toyota about their weekend at Snetterton. 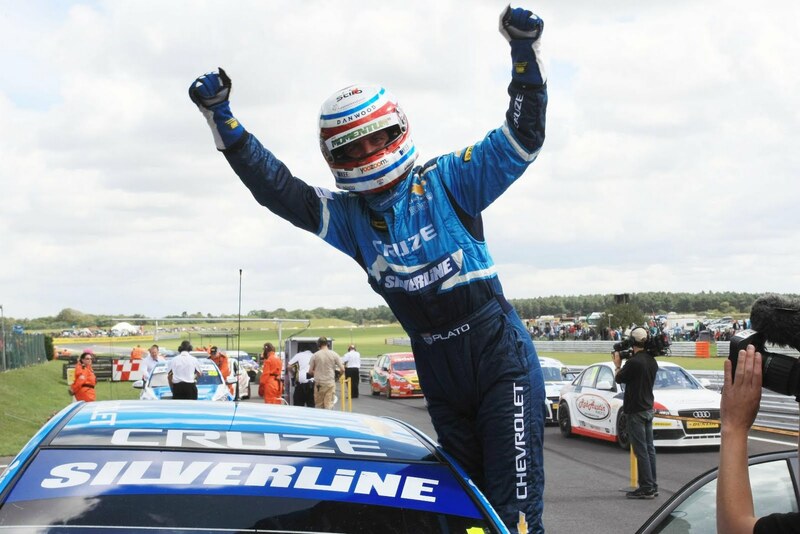 The Dunlop MSA British Touring Car Championship looks set for a thrilling second half of the season, after a huge points haul at Snetterton put the Silverline Chevrolet team, and 2010 BTCC Champion Jason Plato, right back in the mix after a frustrating start to the season. It was a weekend of high drama that began with an eventful qualifying session. Plato set the fastest time with minutes to go, but the main story of the afternoon was a dramatic fire that engulfed the front of Alex MacDowall’s car after a fuel leak. The Cumbrian was pulled free from the car and the fire quickly doused by the RML team, yet despite missing much of the qualifying session he’d still scored a sufficiently good time to start Race One from third position. 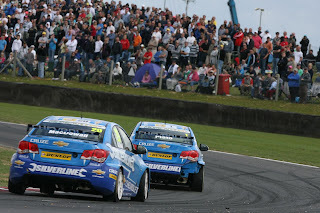 The strong qualifying positions were critical going into the day’s first race, with Plato’s Chevrolet Cruze surviving an early tangle with Matt Neal’s Honda to reveal a clear track. With Neal out of contention, MacDowall did a superb job defending second position from Honda’s Gordon Shedden, meaning Plato was left clear to take his fifth victory of the season, as well as setting the lap record for the new Snetterton 300 circuit with the fastest lap of the day. Going into Race Two, the two Cruzes were at the front of the grid, but both were pushed wide after contact in the first bend, allowing Gordon Shedden’s Honda to push its way through. 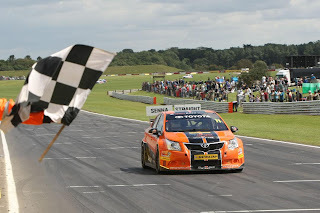 Plato and MacDowall came out of the incident in fourth and fifth positions respectively, but both managed to pass Frank Wrathall’s Toyota Avensis to finish a solid third and fourth overall, with Plato once again on the podium. 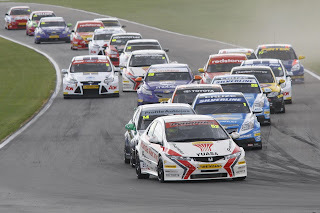 The BTCC’s reverse-grid formula made for an interesting start to Race Three – Plato and MacDowall began the race in fifth and sixth positions, but battled their way through the field in what was arguably the day’s most exciting race. Plato spent much of the race tussling with Dave Newsham’s SEAT, using every inch of the track to finally squeeze his way through to take third, while another sterling performance from Alex MacDowall saw him come in a creditable fifth, giving him his biggest weekend points tally of his BTCC career. But Plato wasn’t the only Chevrolet driver on the podium. Privateer Paul O’Neill, at the wheel of the Tech-Speed racing Cruze, was also a beneficiary of the reverse grid system, scoring his best ever finish of the season in second overall. Honda Racing Team duo Matt Neal and Gordon Shedden suffered a weekend of mixed fortunes in the sixth meeting of the 2011 Dunlop MSA British Touring Car Championship at Snetterton. Shedden took his third victory of the season in race two at the Norfolk track in his two-litre turbocharged Honda Civic to keep himself in the heart of the title fight. Neal faced a huge fight back after being pushed off the track in the opening race. He recovered to take fourth in the third race of the weekend but has slipped from the lead of the points table to third place. 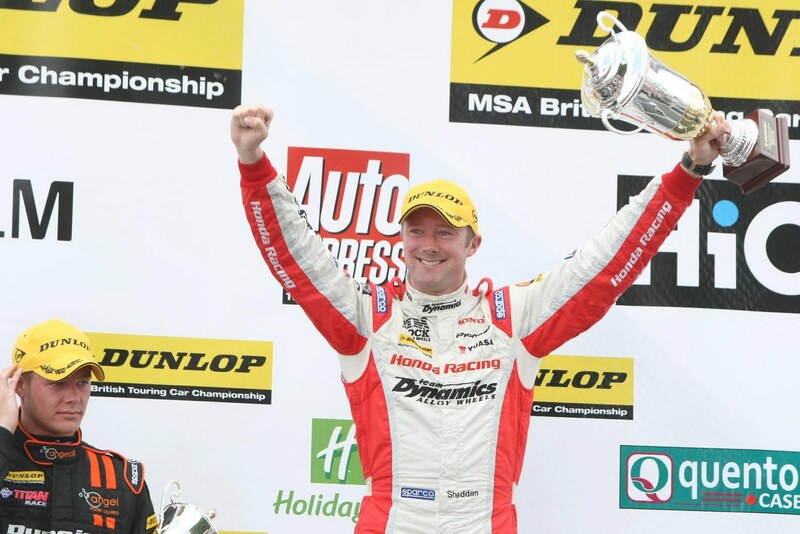 Shedden’s results mean he has leapfrogged Neal to claim second spot in the race for the crown. ‘Flash’ Gordon said he was delighted with his victory and third place that have turned the heat up on the title contenders. “The championship has been so competitive this season that it is vital that you keep racking up the finishes,” said ‘Sheds’. “You can’t afford to drop behind, so coming away from this weekend with 30 points has been perfect. It is a shame that Matt had his problems, because otherwise we could have been first and second in the standings. For Neal, the three races produced only a single fourth place finish after he was involved in a first corner collision with rival Jason Plato in race one. Plato was later reprimanded for his part in the crash. That meant Neal finished outside the points and a puncture also thwarted his chances in race two. A storming comeback in the third encounter netted fourth place, but it was a weekend to forget in most respects. Frank put in a stunning drive in the first of the day’s Snetterton rounds to secure his dramatic result and to open the second half of the BTCC season with a bang. 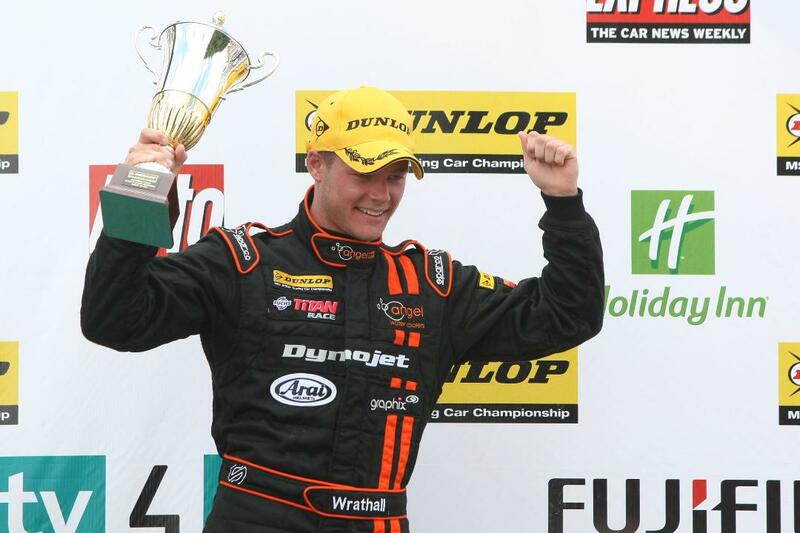 Lancashire driver Wrathall, 24, found it hard to take in as he was saluted on the Snetterton podium: “I can’t believe it… it’s absolutely incredible. It’s been such an epic journey from the first round in April. Now here I am standing on the podium. I’m speechless. Wrathall’s drive on the new three-mile layout of the Norfolk track was a copybook performance. He started seventh on the grid in his Toyota after the best qualifying showing yet from one of the ‘Next Generation Touring Cars’, then he survived an opening lap fraught with danger, successfully avoiding the spinning Honda of Matt Neal to claim a place. A brave dive down the inside of James Nash’s Vauxhall into Agostini secured him fifth on lap two, and Frank then latched on to the tail of fourth-placed Tom Chilton in his Ford. “I put him under a lot of pressure; he wasn’t holding me up but I was comfortable behind him. Then he made a mistake.” Wrathall’s pressure caused Chilton to run wide out of Riches on lap six, handing fourth on a plate to Wrathall. Wrathall’s result brought him not only maximum BTCC Independent Drivers points but also his first main championship points – the first-ever championship points scored by the driver of an NGTC car. Frank shone in race two also, holding third place for eight of the 12 laps after a brilliant start and making progress on the opening lap. The Avensis man started from fourth on the grid and outfoxed reigning champion Jason Plato first time around through Williams to seize third. Frank proceeded to challenge the second-placed Vauxhall of James Nash for several laps until an overheating problem – caused by damage to the radiator – set in. Wrathall put up a spirited defence of third under pressure from Plato and his Chevrolet team-mate Alex MacDowall, but they both found their way past him on lap nine. Frank pulled over on the following lap to avoid damaging the Avensis engine. “I had a good go at keeping them behind me, but in the end it was impossible,” added a still-smiling Frank. Alas the damaged radiator required complete replacement and there was insufficient time to achieve this before the third and final Snetterton race, so Wrathall had to watch from the sidelines – frustrated on one hand, but on the other confident that his performances in race one and two had more than proved a point. There was a good showing also from Toyota’s other BTCC independent, Tony Hughes, who improved with every session in his Speedworks Motorsport Avensis. Tony qualified 24th on the grid and raced to 21st spot in race one; in race two he was holding 18th into the final lap when a throttle problem prompted the car to slip into ‘limp mode’ and Hughes pulled up to prevent possible engine damage; he too was unable to take the grid for race three. 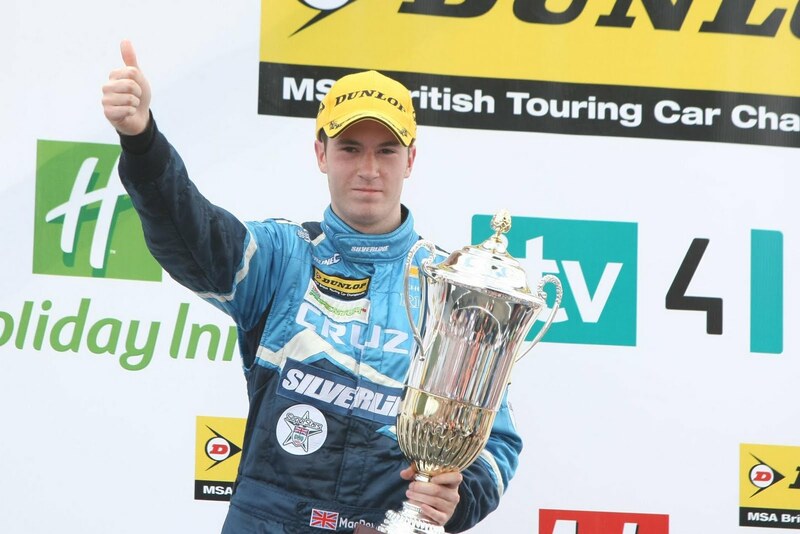 The Dunlop MSA British Touring Car Championship heads north of the border for its next fixture: the daunting Knockhill circuit in Scotland is the venue on 4 September. The next round of the BTCC takes place at Knockhill, Fife, on Sunday September 4.